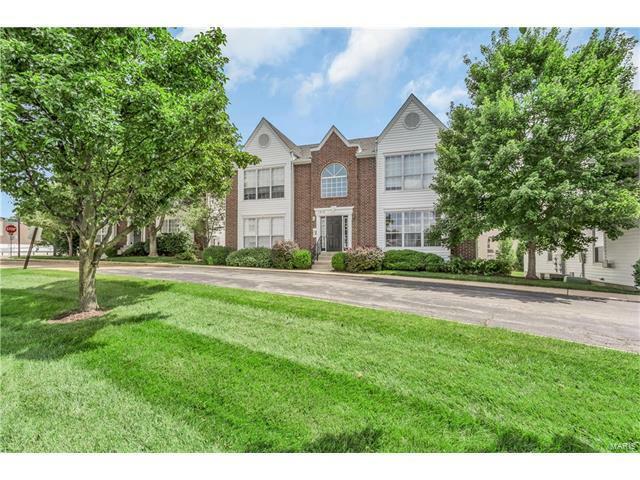 Check out this beautifully updated 2bed/2bath condo in Ballwin. The owners meticulously cared for this unit! As you walk in you will notice the completely updated kitchen with white cabinets and charcoal flake countertops. Stainless steel appliances, pantry, and plenty of countertop space with the bar overlooking into the family room. Updated vanities in both bathrooms. Master suite offers LARGE walk in closet! Included is 1 garage spot and 2 parking lot spaces. What more could you ask for?! This one won't last long! Seller offering HWA Diamond home warranty and will pay some closing costs! Does it get any better?